Welcome to the first installment of a new post series, Fireside Chats! In essence, Fireside Chats are a mashup of interview and conversation involving a nerd of a feather and a guest who is well positioned to discuss the issues and topics we hold dear. Sometimes this will be creator, and other times a critic or commentator. In all cases, it will be someone awesome. Thanks for “sitting down” with me! To start, how did you get into music blogging? Here's some background for you: I've been writing about music on and off since 2000, and have used the "Vehlinggo" name since 1990, but didn't start setting up a plan for Vehlinggo as a synth music blog until 2012. And I didn't actually pull the trigger until 2014, when not long after I launched the blog David "College" Grellier and Nola Wren helped give me a boost. When I was still living in Minneapolis, I originally had in mind a blog devoted solely to everything related to Drive—news, reviews, interviews related to the soundtrack artists, the stars, the filmmakers, etc. Basically a Drive fan blog that had branches into the realms of Italians Do It Better, the Valerie Collective, Kavinsky and Record Makers, Cliff Martinez, Nicolas Winding Refn, etc. (It kind of is this now in many ways, but not the 100% Drive blog I had designed). But I didn't do anything — I was a city editor of a newspaper and managed a non-profit journalism program, so my time was limited. I did barely any substantive extracurricular writing, although I did mess about on my Roland Juno Di synth some. By the time I moved to New York in 2012, I had a different job, a new outlook on life, and a bit more focus. I drew up an outline and started planning to expand into synthwave, modern synthpop, Italo, house, etc. Had it all ready to go, and 2013 was gonna be my year. I was fresh off a Chromatics/Glass Candy show in which I got to see my various favorite artists again and had a fire in my belly. But then not too many months after I got laid off and had to get a new job, which was an awesome, but very stressful and all-encompassing daily, big-city, legal journalism gig. By the time I felt like I could do my day job well and have a side jam, I hit PUBLISH on Vehlinggo in November 2014. 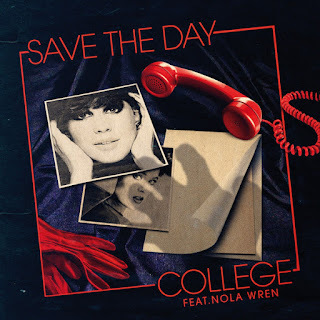 My first post was a review of "Save the Day," the awesome cut from College and Nola Wren — although my review is not as great as it could have been. But it was a review of their show in Chelsea, NYC, a couple weeks later that sealed the deal for the blog. College and Nola both shared the post, and it affirmed in me that I was doing something right and it also gave my blog credibility as a music entity. When the Valerie Collective's art director, Alex Burkart, gave my logo-less blog the logo people wear on shirts today, the stage was set for some awesome times. I never looked back, although I have changed my focus a bit over the years. How would you describe Vehlinggo to the uninitiated? The Velvet Underground of music blogs — highly influential but with a small, dedicated audience. 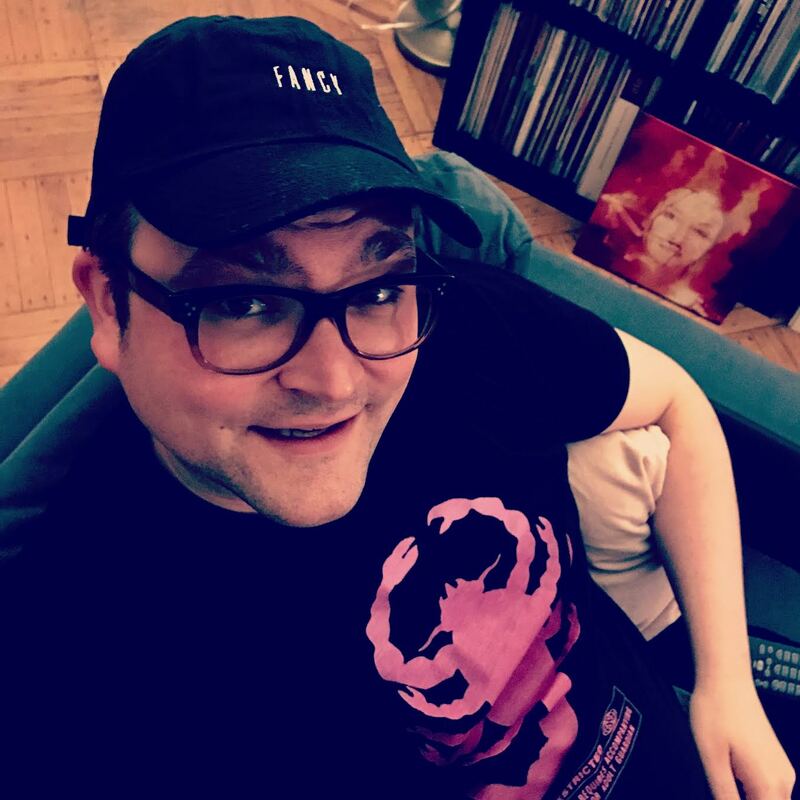 Specifically, it's a place for interviews, reviews, and essays about synth film scores, synthpop, disco, synthwave, house, and all that other stuff that makes you laugh, cry, and fall in love. Vehlinggo cut its teeth on synthwave. So let me pose this question to you: what’s driving the genre’s popularity, such as it is? Or, to put it another way: why synthwave, and why now? Synthwave was certainly a part of my coverage from the start, that's true. If synthwave is popular — and it certainly is among a small group of people — it would be because of Stranger Things, primarily, along with non-retro films and TV shows that have Tangerine Dream/John Carpenter-influenced synth scores. They dig that stuff and then go down the rabbit hole. This kind of happened with Drive, although in a different way. As I discussed with the people who made the music for that soundtrack, this wasn't a terribly retro film; however people read that into it. Either way, whether its Stranger Things or Drive, or more on-the-nose fair like Turbo Kid or Kung Fury, these monuments come along and jump-start the interest in synthwave (or whatever people lump under synthwave). How has the scene changed over the past few years? What I'm about to say is both very negative and very positive. It's my own thoughts, but it's also what people tell me all of the time. The scene itself is becoming noisy and impersonal. There is a whole new generation of artists who, instead of coming up with the pioneers, are inspired by them. This isn't always bad, but it's becoming a situation in which you have dozens of artists taking what seems like an hour to create a Miami Nights 1984 or Perturbator clone track, throwing it up in the Synthetix group and expecting miracles--"perhaps Michael Glover (aka Miami Nights 1984) will see my track and I'll be signed to Rosso Corsa!" It's all about self-promotion now, but not in a strategic way. It used to be you'd be in the Synthetix group and you could just talk about the music you loved and the scene's elements. Now the groups are filled with people tooting their own horns. This is where I think the genre is a bit in its Third Eye Blind phase. If you recall, Third Eye Blind, or Creed, or Lit or whatever, were apparently mostly influenced by the likes of Pearl Jam and Nirvana and the Smashing Pumpkins — they were tapping into an established vibe that was in itself an amalgamation of inspiration. Those pioneers were influenced by 7'0s and '80s hard rock, post-punk, indie rock, glam, etc. So now we have certain artists who are influenced by Miami Nights 1984, who himself was influenced by the real '80s. I think at least one reason for this is because of Stranger Things and the like, but I also think that the quality control that synthwave pioneers like MN84, College, Lazerhawk, Mitch Murder and FM Attack employ — it's several years between albums, because these are all meticulous professionals — leaves open a vacuum that few can truly fill. Thank the universe for folks like Timecop1983, who have kept up the quality with more regularity. Another factor is that supporters like Rick Shithouse (Synthetix.fm), Marko Maric (Synthetix Sundays), Axel Ricks (Neon Vice) are each on a hiatus that I'm not convinced is temporary. And I've been moving away from synthwave for some time. So the tight-knit group that I entered in 2014, and that Axel helped contribute to by entering a year earlier, has faded away. We are now, to reference a Maethelvin song, "Lost in Big City." That said, there is room for optimism. On the plus side, labels like Lazerdiscs and newer outfit TimeSlave Recordings, which function like real record labels but without the exploitation, are key curators of quality. You know what you're getting with them: The stuff will be well-written, well-recorded, well-mixed, well-mastered, etc. It's no surprise that folks like Cody Carpenter or Robert Parker would work with Lazerdiscs. Lovely label and lovely people. Also, I read recently that TimeSlave is releasing a compilation featuring The Midnight. Rosso Corsa is the same way, in terms of quality and people skills, although the label could use some help with marketing. FM-84 is also a bright, shining beacon of hope. I know for a fact the man has a deep sense of quality control and perfectionism. All of these people I've mentioned are also very personable, humble, and friendly people, which helps keep alive the sense of community we once took for granted. What I think is also helping the scene greatly are folks like John Bergin, the art director for Lakeshore Records, and Ivan Castell and Javip Moreno, the guys behind The Rise of the Synths documentary. Bergin actively watches the scene looking for artists of immense quality and professionalism who could be part of Lakeshore's original artists roster. His A&R work has led to Mega Drive's latest album and Rise's companion EPs ending up on the same label that has released the Drive soundtrack, Stranger Things, Mr Robot, and everything else. In fact, Bergin's A&R talent is why SURVIVE ended up doing the Stranger Things score, if I'm not mistaken. Bergin is a real hero and a real human being and an absolute legend in music, art, comics, and film. Castell and Moreno have helped, because their documentary, even though it's not even complete, has managed to shine a light on the supremely talented artists in the scene, while also paying homage to pioneers like John Carpenter and Giorgio Moroder and synthwave pioneers like Com Truise, Lazerhawk, MPM, College, Maethelvin, etc., and synthpop gems like Electric Youth. Castell and Moreno over the past year have created an extraordinary momentum that works in tandem with Lakeshore, Invada, and Death Waltz releasing things. Those folks above, even though they represent the dissolution of the smaller community in some ways, are in fact helping to keep it alive through the way they genuflect to it. It's nice. Visual media have played a central role in that story, from high-profile stuff like Drive or Stranger Things to “in-scene” flicks like Kung Fury and Turbo Kid. And you have the prevalence of YouTube channels like NewRetroWave and Luigi Donatello, which play an outsized role in the scene. Is synthwave a fundamentally “cinematic” genre? Depends on the branch of synthwave, but in general I think the instrumental nature of the genre obviously lends itself to cinema/TV. Then of course there are those who dabble in synthwave, but aren't 100% synthwave who are definitely cinematic. OGRE and Dallas Campbell are most certainly cinematic — after all, they make soundtracks for fake films. However, I'd put them in the same category as Antoni Maiovvi (co-owner of Giallo Disco Records), who also makes scores (for both real and fake films), albeit with more of that Goblin/Argento flare. Syntax certainly gets his share of work with scores. What about the connection between synthwave and science fiction? 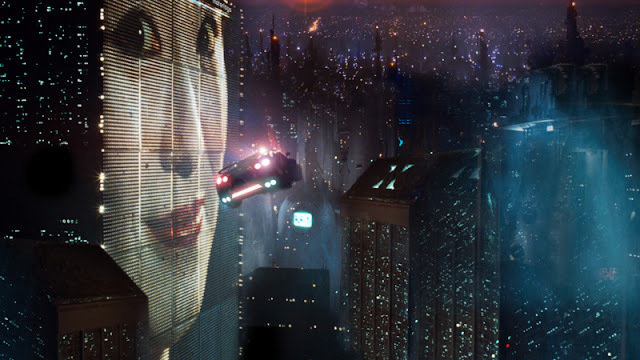 You can thank Blade Runner for that. Absolutely. But why that particular film? I mean, it's awesome, but it's nearly 40 years old. And I think the cultural influence of science fiction is wider than just the cyberpunk-ish stuff like Perturbator or Makeup and Vanity Set. Timecop 1983, for example--even the name is science fictional. And that's something to think about, like, why do we find outmoded visions of the future comforting? And what does that say about where we are right now? I've never asked Jordy if he got his name from the Van Damme movie, which I loved growing up, because I love all things related to time travel. But to your point: We love outmoded visions of the future not because they would ever actually happen. We love them for the same reason we love the idea of heaven, valhalla, whatever. It's like Sir Thomas More's Utopia with scifi, perhaps? There's something to aspire to, perhaps a better, more fairer society, or cooler gadgets that make life easier or more fun, or perhaps new worlds that are better than our own. There's something cathartic even about dystopian futures. Those are comforting because they make our current world better and give something to aspire to not do. The reality is that, other than certain technology like the internet, we never have major technology advances anymore. The future dreamed up in the '30s, '50s, and even the '90s, doesn't really match where we are today. Sure we have video phones and on-demand movies, and all sorts of information on a pocket computer (aka a smartphone), and we have drones that fly around and shoot video! But video phones are still just phones and movies are still movies and drones are just tiny helicopters. Our cars have technology in them that allows for autonomy, but they're still more or less the same car as 30 years ago. We are in a world of incremental changes—incremental changes that will diminish to even more incremental changes as the political situation worsens and progress declines. Where are we right now? We're on Twitter mocking typos while the world burns. That's where we are. In light of that, I'll take a faux future utopia any day. Over the past year, Vehlinggo has broadened its musical focus to include synth pop and indie artists. What music are you most excited about right now? I have to correct you a bit. I've always covered synthpop and indie — if you go back almost three years, synthwave is about 40 percent of what I've covered and you'll see synthpop, indie, trap, R&B, funk, etc. I basically have always written about stuff I like that's in the synth realm, and tried not to write too much about synthwave. Which kind of shows in the music I'm excited about right now. 1. Com Truise — His new album, Iteration, is going to be awesome. Trust me. 2. Nite Jewel — Her new album, Real High, taps into an early '90s Janet Jackson vibe — you know, the Flyte Tyme sound — and crosses it with a contemporary, funky feel that makes for one of my favorite albums of the year, so far. She's a revelation always. 3. Hoops — New album Routines is jangly and lofi dreampop, like the C86 of early Wild Nothing. 4. Radiohead — I've been listening to "I Promise," an acoustic- and strings-driven OK Computer outtake they released to those who bought the 20th Anniv. edition boxset. It's gorgeous. 5. Anoraak — His new EP, Black Gold Sun, is absolutely stunning. I love Anoraak's blend of club, synthpop, and synthwave, generally — did you hear last year's *Figure* that features Slow Shiver? — but this new work is an exercise in transcendence. 6. Syntax — James Mann (aka Syntax) sent me an advanced stream of his forthcoming LP, The Space Tapes. I've been listening to it constantly while pretty much doing everything, whether sitting idle, walking to work, working at work, or writing fiction. It's this mind-opening experience that truly represents the concept of space. Syntax always opens my mind in ways that end up benefitting me. James should be scoring films, working with Com Truise and Tycho, etc. Ghostly needs to sign him. 7. Sepehr — This is some great techno off Monty Luke's Detroit house/techno label, Black Catalogue. 8. Johnny Jewel — His new Windswept album, which features some of his score work for Twin Peaks along with a some vocal pop tracks and other things, is a pleasing blend of smoky jazz and emotive, noirish synths. There's also a really killer Desire cut on there. Meg's vocal melody is soothing and catchy. Johnny and Meg are married, so I think their deep personal connection lends itself to creating such a warm, soulful number. 9. Kendrick Lamar — DAMN. Because he's a genius. Listening to a Kendrick album isn't a passive act. It's a powerful experience that binds itself to your soul. The man is extraordinary. These are a few. I'm shortchanging a bunch of people, I know. Where do you think synth music is headed in the next few years? Where should it be headed? I see synthwave and even more modern synthpop incorporating more guitars. Since synths became popular there has been a social contract between synths and guitars (or their players) — sometimes we synth and sometimes we rock; and sometimes they mix it up a bit and create heavenly moments like we saw with New Order and The Cure, or Smashing Pumpkins' Adore, or, later, Bloc Party's A Weekend in the CIty. So I see synth music as we know it bringing the guitars back. To make it easier: Wherever Chromatics are headed, that's where it's headed. And where should it head? I have no idea. We need to let that be an organic growth. One that that's always frustrated me is the lack of a DJ culture. DJs and DJing play an important role in other forms of dance music. Club nights generate interest in the music, for one. And they generate income for producers beyond record sales. But most of all, they're fun. Techno, for example--it's designed to be played out, and for people to dance to it. Not all music needs to fit those parameters, but synthwave especially--it already has the right beats for it. Yet people aren't releasing DJ-friendly 12" edits or organizing nights where people go out to dance. Instead you get the occasional live show that's structured like a concert--the producer is on a stage, there are pauses between songs and everyone is facing forward and watching. That's good and meaningful, so I'm not knocking it; but I think for synthwave to take a step forward, it needs to expand its audience, and creating the infrastructure for regular club nights is one promising way to do that. These exist in limited fashion in cities like San Francisco and NYC — and I know they have them in France and Holland. The only artist I know who releases 12" mixes is Diamond Field, but I'm sure there are more. I think what's going on is that most synthwavers are bedroom or basement producers and haven't developed the performance muscle — whether it's a liveshow or a DJ set. You see that the Valerie Collective hosts parties fairly regularly and they have a College DJ set plus Maethelvin performance (which is seamless) and another collective member behind the wheel DJing -- like Pierre De La Touche. Or, also from France, Lazerdiscs' Absolute Valentine hosts retro-themed parties. These are all people who were already more or less performers and DJs before becoming known for retrosynth and synthwave. I guess I'm rambling, but I think my point stands: It doesn't happen enough because people aren't comfortable doing it. That should change and I believe it is slowly but surely changing. I've thought about hosting Vehlinggo parties and having capable DJs. The problem is I don't know anything about organizing such an event and don't have the capital. But if I had one, it would be of the variety you're lauding. Thanks for having this chat, Aaron--lots to think about! For sure! I'm sure I'll sound very cranky and lose even more cachet in the synthwave scene because of this.